McLuhan on Maui, MoMday night seminar 14, 30 May 2011 now available for FREE download here. Guests: Bob Dobbs, Andrew Chrystall, Michael Edmunds, David Worcester. MOM NOW: Who is the judge, creating fear, who is it that is doing the fearmongering? cultural norm functioning, collective phonia, national...mythmaking or individual experience...what is the cause of fear? MOM NOW: HCE one person...can be applied to anyone who occupies THE position of POWER re new media env. MOM NOW: McKenna's review of the Letters of Marshall McLuhan, the review of varieties of religious experience (by MM), not published. 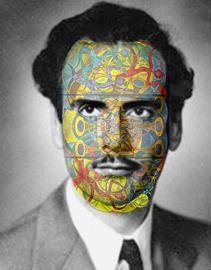 MOM NOW: McLuhan turns pattern recognition into an artform, addictions to monitoring, appraching the 1hr 44 minute mark. Mark this! MOM NOW: The later McLuhan in the last decade of his life. The Male role and conversation, raising babies genderless? MOM NOW: Sprung rhythms vs rock'n'roll ...and the failure of anti-enviornments (you can't have one in the 1960s). MOM NOW: Mystic experience, as puny, in the electric age. MOM NOW: WHere does VICO come into this (re his sense of TIME), JJ says he used VICO as trelis/frame/structure. MOM NOW: geographic and linguistic landscapes. 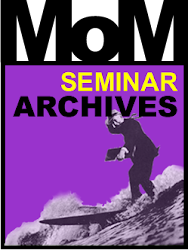 Previous MoMday seminars, where "we" walk beyond yet beside McLuhan, are available for FREE download at: www.mcluhanonmaui.com.